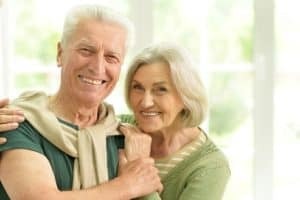 Medicare Supplement Plan G or Medigap Plan G, dare I say it, may be the best medicare gap insurance and the new standard in complete coverage. Since Medigap Plan J was discontinued in 2010, in order to get full coverage, you need to purchase Plan F or Plan G to get what most consider full coverage. Ever wondered which Medigap plan is currently the most popular? It’s Plan F by a landslide—about 55% of all Medigap plans currently in force are Plan F. Plan C is a distant second at about 9%, according to the most recent Medigap enrollment data. In this case, why do I think that Medigap Plan G is the new standard in complete coverage? There are a number of reasons why Plan G may be the best Medicare Supplement Insurance now (for people living outside California). 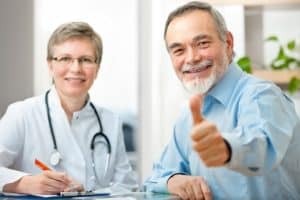 Let’s discuss the benefits of Medigap Plan G. And lets do a Plan F vs Plan G battle in order to find out which really is the best medicare gap insurance. Before we define and discuss the benefits of Medigap Plan G, let’s talk a little about complete coverage. 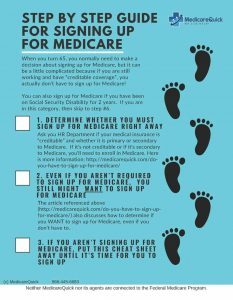 A Medigap plan that can provide complete coverage is a plan that can enhance Medicare Parts A and B by providing coinsurance and co-payments for both plans, a drug plan coverage, and coverage even if you traveled to a foreign country. Medigap Plan J used to provide all those benefits. It was the gold standard in complete coverage. It was possibly the best medicare gap insurance offered during its time. Unfortunately, Medigap Plan J was discontinued in June 1, 2010. Because Plan F covered co-pays and deductibles of Medicare at 100%, it is currently in 2018 the most comprehensive coverage available. So why am I confident that Plan G will become the most popular plan in years to come? What is Medigap Plan G? But why do they say that Medigap Plan G is better than Plan F? On paper, the difference may seem clear, but there are a number of reasons why Medigap Plan G might better than Plan F. Let’s pit them against each other and do a Plan F vs Plan G face off and find out which is the best medicare gap insurance. The benefits of Medigap Plan F and Plan G almost identical except for Medicare Part B deductible. Medicap Plan F covers the Medicare Part B deductible while Plan G does not. The cost of Part B deductible is $183 in 2018. You must pay a deductible annually when you see the doctor for non-preventive visits. So just looking at the benefits alone, Plan F is better, or more comprehensive. And in the past, there wasn't a big difference in the premium, so why were so many agents and brokers promoting Plan G? In case you aren't aware, Medigap Plan F will be discontinued in 2020. When that happens, no new enrollees can purchase Plan F. If you would remember what happened to Medigap Plan J, current enrollees were able to continue their plan. But because the insurance pool of enrollees are still getting older and sicker, the premiums went up. People who are still on Plan J are finding that moving to a Plan F (if they are healthy enough to do so) will save them money . Soon enough, I believe that this will happen to Medigap Plan F. In order to get complete coverage, you would need to move to Medigap Plan G while you are still healthy enough to do so.. In California, it doesn't matter as much because we have the birthday rule here. This means that if you already have a Plan F in California, and want to move to a Plan G later, you can do so within 30 days of your last birthday. The insurance companies cannot ask you any Medical Questions to see if you qualify. However, this is not true in most states. 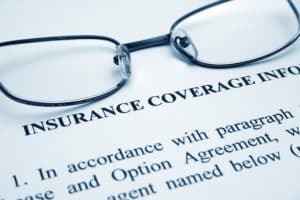 Most states allow insurance companies to “medically underwrite”, even if you are downgrading coverage (for example going from a Plan F to a Plan G). What that means is that if you are living in a state where you don't get a guaranteed issue situation to change plans, you might be “stuck” in a plan where the premiums continue to rise, if the insurance companies don't like your health situation. (And lets face it, most of us obtain health conditions as we age). Another reason that Medigap Plan G is the best Medicare Supplement Insurance today is because of the lower premium. I ran a quick comparison for a male age 65, non-tobacco user, living in the Dallas-Fort Worth area. That's a difference of $27.20 a month. For a year you would pay $326.40 more when you are enrolled in Medigap Plan F as compared to being enrolled to Plan G. Let’s say that you do pay for the annual Part B deductible of $183. You still save $143.40. Clearly the numbers show that Medigap Plan G is better than Plan F.
Did you like that Plan F vs Plan G face off? It’s evidently clear why Medigap Plan G is the best Medicare gap insurance in terms of planning for the future (if you don't live in California). It’s true that Plan F covers Medicare Part B deductible of $183. But the savings that you can make on Plan G premiums makes up for the Part B deductible. I think it’s safe to declare that Medigap Plan G is the best Medicare gap insurance and new the standard in complete coverage for those living outside California. And if you live in California, it will be the “best” starting in 2020 for new enrollees. *Medicare Part A deductible is broken down into 60 day benefit periods. You have to pay the deductible if you reenter the hospital after 60 days from discharge. Example: If you enter the hospital March 1st you’ll pay the Part A deductible. If you leave the hospital 5 days later and return to the hospital on July 6th, you will be charged the Part A hospitalization benefit again. 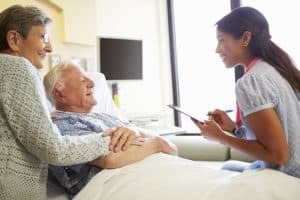 **For Skilled Nursing you must have a 3-day qualifying stay in the hospital to qualify for Skilled Nursing Facility care AND you’ll still pay the benefit period Part A deductible ($1,340).